Innovation is something you have to do to survive. You can’t force what exists today to be relevant tomorrow. Not even the most successful sets can afford to be complacent. Innovation is doing everything better. We are changing the provision of legal services. We are moving towards a different legal environment with more choice for consumers. Change is constant at the bar. Sets whose cost base is too high or who can’t change will be in danger. Consumer demand is driving the use of technology to change the practice of law. Clients of Briefed tell us they save about eight hours per week. We are not just innovating the Bar; we are innovating the entire legal industry. Innovation at the Bar: Who is leading the way? 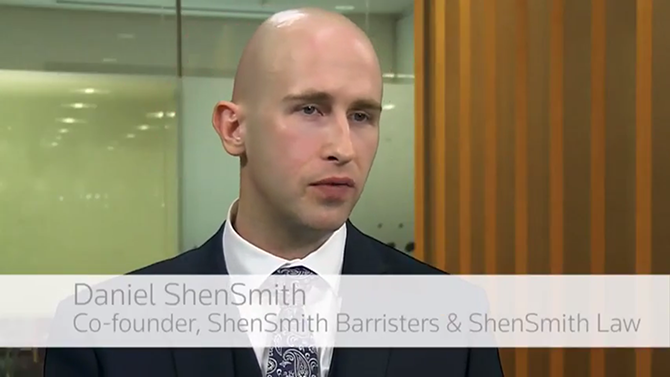 Daniel ShenSmith discusses his approach to innovation at the Bar. The Bar is undergoing a period of rapid and unprecedented change. Funding cuts, new cost regimes, regulatory changes, increased barriers to entry, and changing client demands are among the changes impacting on the daily work of barristers. How have barristers responded? How have they innovated? What benefits have they gained? And what is the future for the Bar? This report from Thomson Reuters uncovers the answers to these questions. We have spoken to some of the key players transforming today’s modern Bar – including barristers, Chief Executives, clerks, and other innovators. The report examines key areas of Bar innovation, and includes case studies from those at the forefront of change. To access a copy of the report and the case studies, please enter your details. To access a copy of the report and the case studies, please enter your details on the form below. Increasingly the Bar is innovating by using Practical Law. With over 500 barristers, across all practice areas, contributing to Practical Law, it is fast becoming an established tool for barristers in this ever-changing and challenging climate.